The internet is widely used by businesses, students, and private individuals. 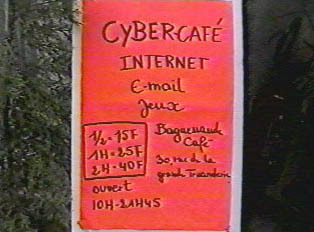 In Paris, there are plenty of internet cafes and internet centers (which are public internet access places without the refreshments), but this is not the case in every town. An average charge is about 5 Euro per hour. In addition, the public libraries have free internet access, but library membership might be required to use it.